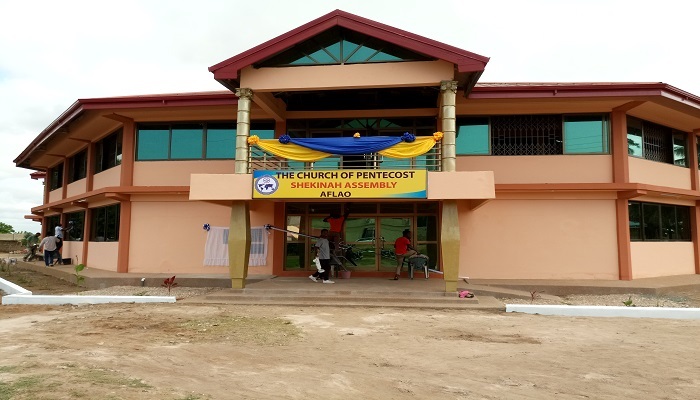 It was all glorious when the outgoing Chairman of The Church of Pentecost, Apostle Professor Opoku, dedicated the Shekinah Church building in the Aflao Area on Thursday, August 16, 2018. 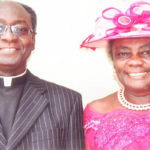 He was assisted by the Aflao Area Head, Apostle Osei-Wusu Brempong, who retired from the active ministry last Sunday. The mega auditorium was the 23rd church building to be dedicated so far this year in the Area. Speaking on the topic, “The Dwelling Place of the Lord” Apostle Moses Ahiakor, Ho Area Head, said God wanted to dwell in the midst of His people – the Israelites, so He asked Moses to build a tent for Him where He could meet His people. He again said God asked Solomon to also build a temple which was filled with the power of God, and this was where the Israelites worshiped God. Reading from Matthew 21:12-16 and 1 Corinthians 3:16-17, he said God no longer live in the physical building, but now resides in every Christian. According to him, the temple of God should be a house of prayer, power, place of purity, place of redemption and place of praise. He encouraged Christians to pray to God themselves, because God will hear and answer their prayers when they call upon Him. “Don’t depend on any special person to pray for you,” he admonished. Apostle Ahiakor indicated that Christians are reservoirs of the power of God and, therefore, should not fear any principalities. He admonished believers to flee from all immoral acts that can make them impure before God and prevents them from getting closer to God. In his remarks, Apostle Professor Opoku Onyinah said the desire of God is to dwell with man. The Chairman therefore urged the congregation to sanctify themselves from all unrighteousness so that they can manifest the power of God. Present at the ceremony were Mrs Comfort Osei-Wusu Brempong (wife of Aflao Area Head), Mrs Elizabeth Ahiakor (wife of Ho Area Head), and the pastorate in the Area.